While MLS average attendance declined for the first time in five years, average ticket revenue jumped nearly 10 percent in 2018 over the 2017 regular season. 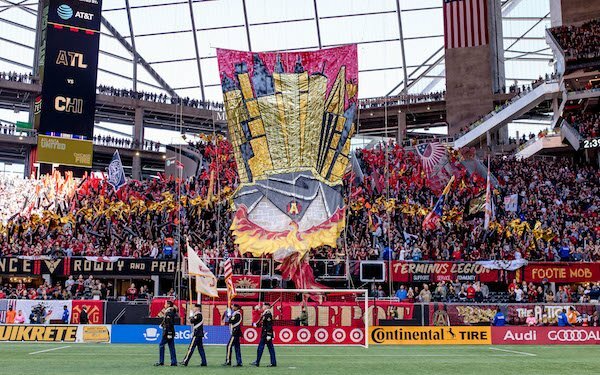 MLS averaged 21,873 fans in 2018, down 1.1 percent from the record attendance of 22,106 set in 2017. It marked the first time since 2013 that average attendance attendance has dropped year-over-year. Since then, MLS has averaged at least 21,000 fans a game every season. It ranks eighth in the world among leagues in average attendance in 2018. Atlanta United broke its own MLS (and U.S. pro soccer) records for total home attendance in a season (901,033) and single-season average (53,002) to rank in the top 20 among clubs in the world in average attendance in 2018. Like other U.S. pro leagues, MLS attendance figures aren't based on the number of fans who go through the gates. Like the NFL, NBA and NFL, MLS records all tickets distributed -- paid tickets and comp tickets. MLB only counts paid tickets, but they include heavily discounted tickets. The difference between the increase in paid tickets sold and decrease in announced attendance figures is a cutback in the number of comp tickets and, in at least one case, heavily discounted tickets sold to brokers. Comp tickets include those distributed to sponsors and media partners, as well as given to players and staff or donated to charities. With MLS teams recording attendance figures on average greater than 90 percent of capacity -- only six of 23 teams in 2018 played in football or baseball stadiums -- their short-term room for growth in ticket revenue will depend in part on continuing to increase the number of paid tickets at the expense of tickets they traditionally comped. MLS expects similar season-ticket renewal rates in 2019 from those in 2018 -- the highest in league history. 5 comments about "Behind the numbers: MLS average attendance down, but ticket revenues jump almost 10 percent". Right Winger, October 30, 2018 at 9:49 a.m.
Makes sense to me. If attendance is down raise the ticket price. That way will you fool the customer into thinking they are getting a better product and more fams will be comfortable with paying higher prices. Economics 101. Right? don Lamb, October 30, 2018 at 1:21 p.m. The real question is what is happening with tv audiences. SA usually has an update or two throughout the season, but haven't seen anything here for a long time. I am sure they are not rising by a lot, but hopefully there is progress. Wallace Wade, October 30, 2018 at 1:31 p.m. I have to think TV audience is way down. The current deal with ESPN+ is horrible. I’m a grassroots diehard and even I refuse to pay a monthly fee to view MLS matches. frank schoon replied, October 30, 2018 at 3:54 p.m.
Christopher Osmond, October 31, 2018 at 3:32 p.m.
To Economics 101, per the supply/demand curve, you raise prices demand drops. Hmm! Is that what happened here?